The Matrix Reboot. Why? - sandwichjohnfilms The Matrix Reboot. Why? THR is reporting this made move. It’s still not clear what shape the project will take, Warner Bros. is in the early stages of developing a relaunch of The Matrix, the iconic 1999 sci-fi movie that is considered one of the most original films in cinematic history, with Zak Penn in talks to write a treatment. Written and directed by the Wachowskis, the original movie sees humanity living in a simulated reality, unaware that humans are in pods in which their bodies are being harvested for energy. A computer programmer named Neo (Keanu Reeves) slowly becomes aware of this suppressed existence, eventually becoming humanity’s one true hope (Neo = One) to overthrow the oppressors. The pic also starred Laurence Fishburne, Carrie-Anne Moss and Hugo Weaving. The Matrix was released in a quiet period of the 1999 release calendar — March 31 — and Warner Bros. didn’t have outsized expectations for an action movie with obvious Manga and comic-book influences. But the story and ground-breaking special effects (including the slow-motion "bullet time" effect, which launched dozens of imitators in the years that followed) became the highest grossing R-rated film of 1999 in North America, and the fourth-highest grossing film of the year worldwide. It also won four Academy Awards. While promoting John Wick: Chapter 2, Reeves said he would be open to returning for another installment of the franchise if the Wachowskis were involved. "They would have to write it and direct it. And then we’d see what the story is, but yeah, I dunno, that’d be weird, but why not?” he told Yahoo Movies. However, it is likely that Warners will look elsewhere to attract an A-list director and star. While some at Warners consider the title among the studio’s sacrosanct properties, such as Casablanca, others see a need to redevelop it in an environment where studios are desperately looking for ways to monetize their libraries and branded IP is hard to come by. 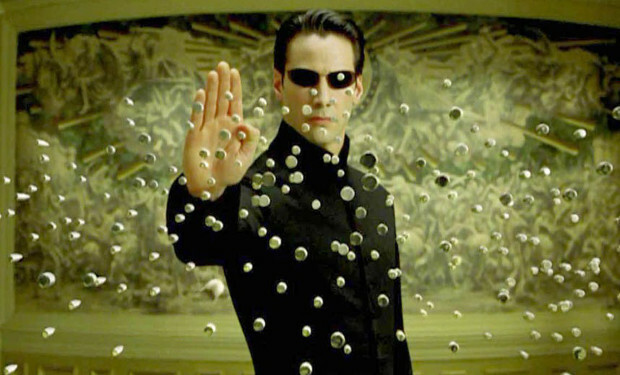 The idea of adapting The Matrix as a television series was nixed in recent months. But Warner Bros. sees a model in what Disney and Lucasfilm have done with Star Wars, exploring the hidden corners of the universe with movies such as Rogue One: A Star Wars Story or the in-production young Han Solo film. Perhaps a young Morpheus movie could come out of the exploration, as an example. Penn is a writer with deep roots in the geeky genres in which Matrix travels. He created the Syfy network’s super-powered show Alphas and has been involved in comic book movies ranging from the X-Men franchise to The Avengers.